Nissan Sentra B17 workshop service repair manual 2013. This manual came with fully index. By having a reliable repair manual you not only save money but get to experience DIY repair your own vehicle. A repair manual comes with comprehensive details regarding technical data, diagrams, a complete list of car parts and pictures. Even the most novice car mechanic can easily follow the step-by-step guides which are made simple by the illustrations and drawings. Nissan Sentra B17 service manual / repair manual can easily help you with any repairs that you may need to do. Many people are scared to touch their cars because it seems difficult. This is only true when you do not have the resources and tools available for when that time comes! This manual will easily pay for itself on the first oil change, spark plug change, or air filter change that you perform! The manual includes pictures and easy to follow directions on what tools are needed and how the repair is performed. Just imagine how much you can save by doing simple repairs yourself. You can save anywhere from hundreds if not thousands of dollars in repair bills by using this Nissan Sentra B17 repair manual / service manual. Many people buy this manual just to have it around for when the inevitable happens. Sooner or later, maintenance will need to be performed. Be prepared for it when it happens by simply purchasing this service manual for later use! See below for a list of items that most of our manuals cover. Some manuals actually cover more items that are not even listed! Nissan Sentra B16 workshop service repair manual 2012 and 2013. This manual came with fully index. By having a reliable repair manual you not only save money but get to experience DIY repair your own vehicle. A repair manual comes with comprehensive details regarding technical data, diagrams, a complete list of car parts and pictures. Even the most novice car mechanic can easily follow the step-by-step guides which are made simple by the illustrations and drawings. Nissan Sentra B16 service manual / repair manual can easily help you with any repairs that you may need to do. Many people are scared to touch their cars because it seems difficult. This is only true when you do not have the resources and tools available for when that time comes! This manual will easily pay for itself on the first oil change, spark plug change, or air filter change that you perform! The manual includes pictures and easy to follow directions on what tools are needed and how the repair is performed. Just imagine how much you can save by doing simple repairs yourself. 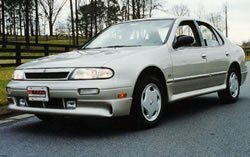 You can save anywhere from hundreds if not thousands of dollars in repair bills by using this Nissan Sentra B16 repair manual / service manual. Many people buy this manual just to have it around for when the inevitable happens. Sooner or later, maintenance will need to be performed. Be prepared for it when it happens by simply purchasing this service manual for later use! See below for a list of items that most of our manuals cover. Some manuals actually cover more items that are not even listed! Nissan Altima Hybrid HL32 workshop service repair manual 2009. This manual came with fully index. By having a reliable repair manual you not only save money but get to experience DIY repair your own vehicle. A repair manual comes with comprehensive details regarding technical data, diagrams, a complete list of car parts and pictures. Even the most novice car mechanic can easily follow the step-by-step guides which are made simple by the illustrations and drawings. Nissan Altima Hybrid HL32 service manual / repair manual can easily help you with any repairs that you may need to do. Many people are scared to touch their cars because it seems difficult. This is only true when you do not have the resources and tools available for when that time comes! This manual will easily pay for itself on the first oil change, spark plug change, or air filter change that you perform! The manual includes pictures and easy to follow directions on what tools are needed and how the repair is performed. Just imagine how much you can save by doing simple repairs yourself. You can save anywhere from hundreds if not thousands of dollars in repair bills by using this Nissan Altima Hybrid HL32 repair manual / service manual. Many people buy this manual just to have it around for when the inevitable happens. Sooner or later, maintenance will need to be performed. Be prepared for it when it happens by simply purchasing this service manual for later use! See below for a list of items that most of our manuals cover. Some manuals actually cover more items that are not even listed! 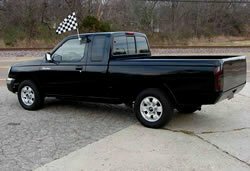 2000 Nissan Frontier Model D22 Workshop Service Repair Manual, Full service repair manual for download. With this manual, you may maintain, service, diagnose and repair your own. This manual is same as paper manual for the technical. All major topics are covered. Step-by-step instruction included. With this manual you will have 100 confident to do the repair and services yourself. 2000 Nissan Frontier Model D22 Workshop Service Repair Manual for 2.4L KA engine, Full service repair manual for download. With this manual, you may maintain, service, diagnose and repair your own. This manual is same as paper manual for the technical. 2000 Nissan Frontier Model D22 Workshop Service Repair Manual for 3.3L VG engine, Full service repair manual for download. With this manual, you may maintain, service, diagnose and repair your own. This manual is same as paper manual for the technical. 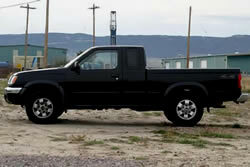 1999 Nissan Frontier Model D22 Workshop Service Repair Manual for 3.3L VG engine, Full service repair manual for download. With this manual, you may maintain, service, diagnose and repair your own. This manual is same as paper manual for the technical. 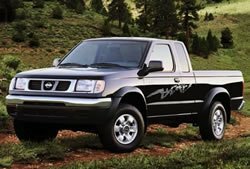 1999 Nissan Frontier Model D22 Workshop Service Repair Manual for 2.4L KA engine, Full service repair manual for download. With this manual, you may maintain, service, diagnose and repair your own. This manual is same as paper manual for the technical. 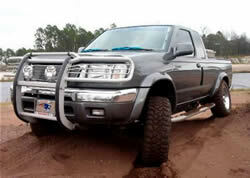 1998 Nissan Frontier Model D22 Workshop Service Repair Manual, Full service repair manual for download. With this manual, you may maintain, service, diagnose and repair your own. This manual is same as paper manual for the technical. This is Nissan ALTIMA U13 Series workshop service repair manual for year 1997. This manual content full service and repair instruction used by mechanics around the nation.